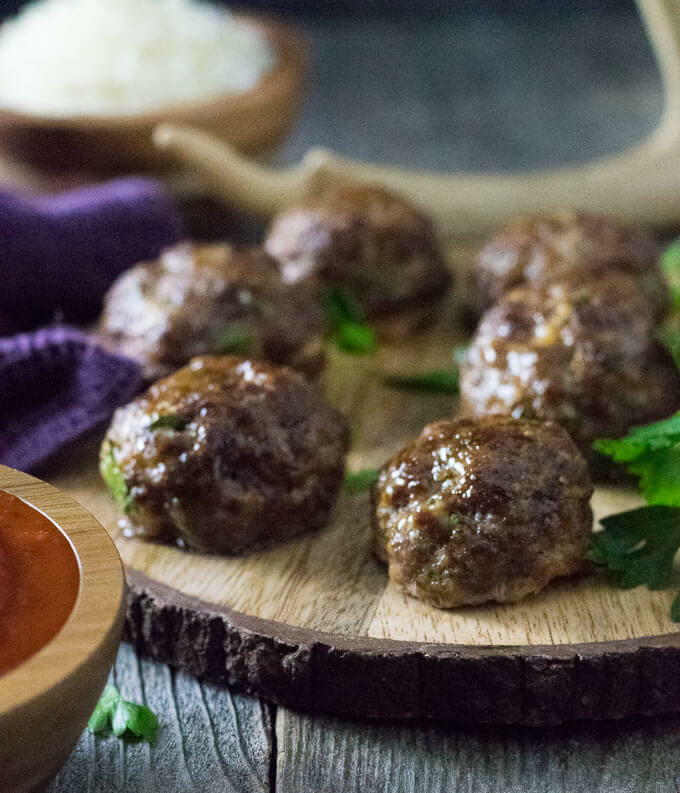 These flavorful all-purpose venison meatballs are so tender they will practically melt in your mouth. Make a batch to use in pasta sauce, meatball subs, or as appetizers. My favorite thing about having venison in my freezer is finding exciting new ways to prepare it. Making your favorite classic dishes with wild game adds a flavorful twist on an otherwise routine meal. Even if you have eaten a thousand meatballs in your lifetime, crafting them with venison adds a distinguishably different flavor. It is the perfect way to revamp mundane meals! 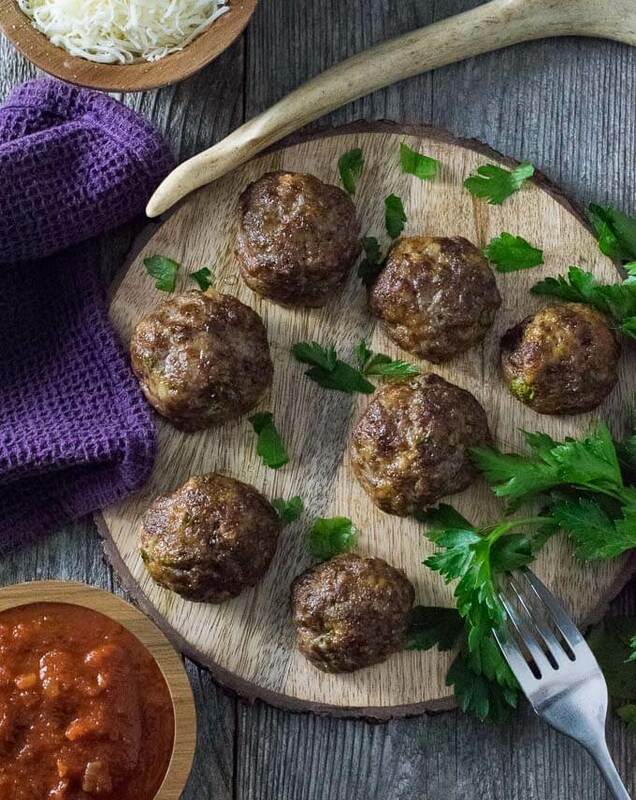 Venison meatballs can be made from 100% deer meat, or if you prefer you can blend it with ground beef, veal, or pork. If you wish to substitute other meats, I would recommend 1 pound venison and 1 pound substituted meat. Venison is a very lean meat so fat typically needs to be blended into it. Luckily, if you brought your deer to a butcher to be processed, the butcher most likely added the fat for you. 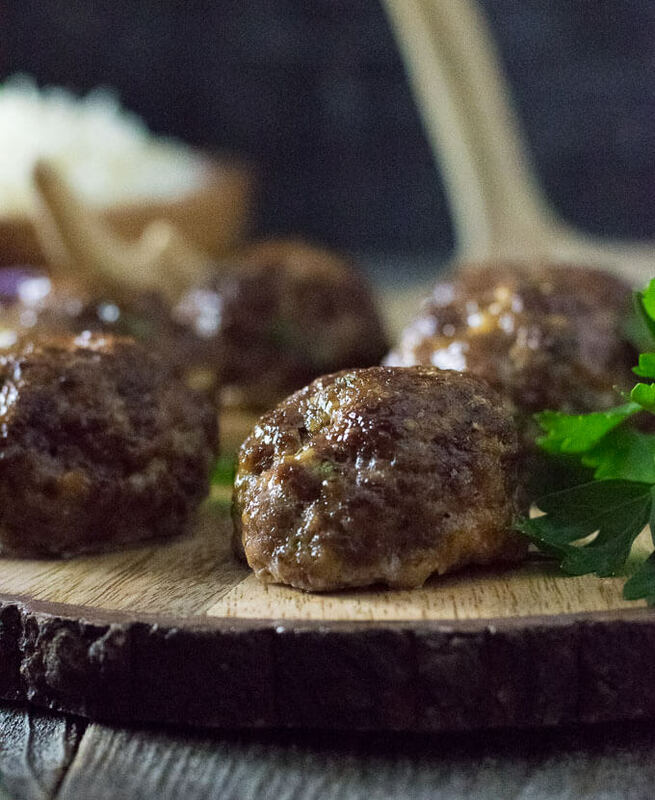 If you are grinding your own venison at home, adding 20% pork fat or beef suet would be ideal for making venison meatballs, and venison burgers too. Personally, I use and love the LEM Big Bite Grinder (affiliate link) for processing my own game. If you are unsure if your ground venison contains 20% fat, you can always ask your processor. Leaner ground venison is great for tacos or venison chili, however, if it is too lean it will make a dry meatball. The key to making great venison meatballs is to not overwork the meat. Only mix it and form it with enough pressure to complete the task. If you overwork the meat the ground venison will start compacting together, creating a denser meatball. This is true with any meatball you make. Check out my tutorial on how to make great meatballs for a more in-depth discussion. 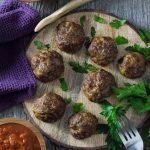 These venison meatballs are great all-purpose meatballs that can be used in a variety of applications. I like using them to make easy meatball subs, however, they would also be great to use as cocktail meatballs in a garlic butter sauce too! Otherwise, simply adding them to your favorite spaghetti recipe is a tried and true favorite as well. Place bread cubes and milk into a separate dish and mix with your fingers to ensure bread is completely saturated with the milk. Let soak for 10 minutes. While bread is soaking gently crumble venison into a large bowl. In a separate dish add remaining ingredients and mix to combine. When bread is done soaking, remove any bits that are still firm, and work with your fingers to break down the remaining soaked bread. Add this to the dish with the seasonings and mix together, then add everything to the dish with the venison and gently mix to fully incorporate all of the ingredients. Scooping out 2 tablespoons of meat at a time, gently form into meatballs by rolling venison mixture between your hands. Set meatballs on a large rimmed baking sheet and place in the oven for 20-25 minutes, or until cooked all of the ways through. Optional: When meatballs are almost done cooking you can set the broiler to high if you wish to sear a crust onto the top of the meatballs for added texture. 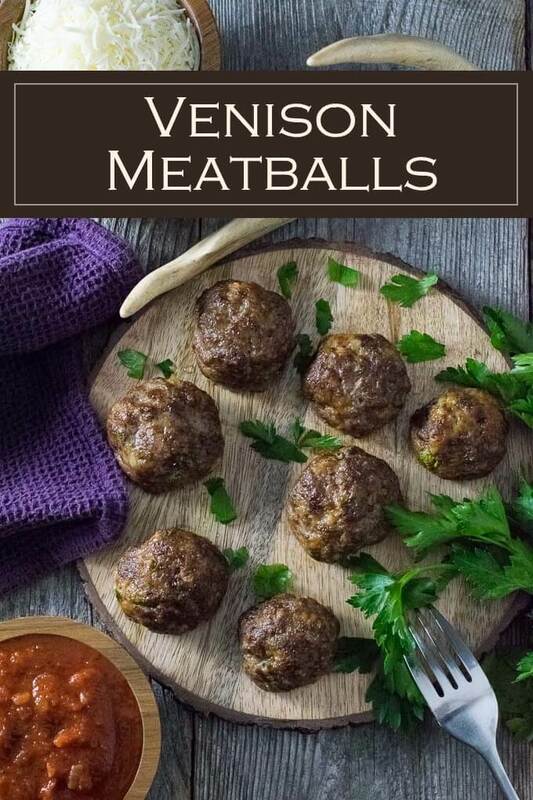 Venison meatballs can be added to pasta sauce to use with spaghetti, made into meatball subs, or combined with your favorite meatball sauce to serve as an appetizer. IF YOU LIKED THIS RECIPE you will love my Venison Meatloaf too! If you enjoyed reading my Venison Meatballs recipe then you should probably like me on Facebook and follow me on Pinterest too. That’s what I would do at least, because if you don’t get to know me but you still use my recipe it is kind of like taking candy from a stranger, and your mom taught you not to do that. Don’t disobey your mom, subscribe to Fox Valley Foodie today. My family loved these, thanks!